The Bronx, while not as synonymous with big business as Manhattan or some of the other boroughs in New York, is never the less a vibrant, bustling area seeing significant gains in the business world lately. 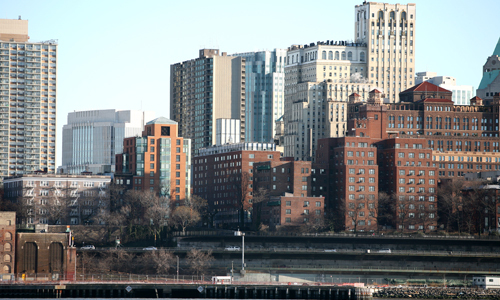 There are programs in place that aim to help new and established businesses in the Bronx to grow and make a considerable impact on the financial future of the area. There are programs Bronx businesses can use to add employees, expand their facilities and buy new equipment at significant discounts. It only takes one good program to give a business the financial incentive it needs to grow. Business in the Bronx that have expanded their employee base, or plan on adding more staff, should look into the Employment Incentive Credit. This is a plan that pays businesses back for hiring employees, and it applies only to businesses in the Bronx and other parts of New York State. Contact Information: You can get more details on this program by visiting its website at https://www.tax.ny.gov/pit/credits/employment_incentive_credit.htm. Inspiring entrepreneurs and giving them the tools they need to succeed is one important way to grow business in the Bronx. Entrepreneurs should look into the types of programs the Bronx has to help new businesses get off the ground. The Bronx Business Bridge Incubator is a full-service facility set up to support anyone in the Bronx who has the desire to be an entrepreneur. Along with educational programs, the Incubator also offers work areas, networking events and business counseling services. Contact Information: Anyone interested in this program can get more details and sign up by using the program's website at http://www.nycedc.com/program/bronx-business-bridge-incubator. Training local Bronx residents to take on new jobs being created in the area is critical to sustaining growth. There are many programs Bronx businesses and residents can turn to for career training and job placement. Bronxworks is the primary workforce development organization in the Bronx, and it offers many resources for Bronx businesses looking for employees. Some of the services include job postings, employee training services and specialty staffing. Contact Information: To learn more about what Bronxworks can do for your company, visit the program's website at http://www.bronxworks.org/services-for-employers.